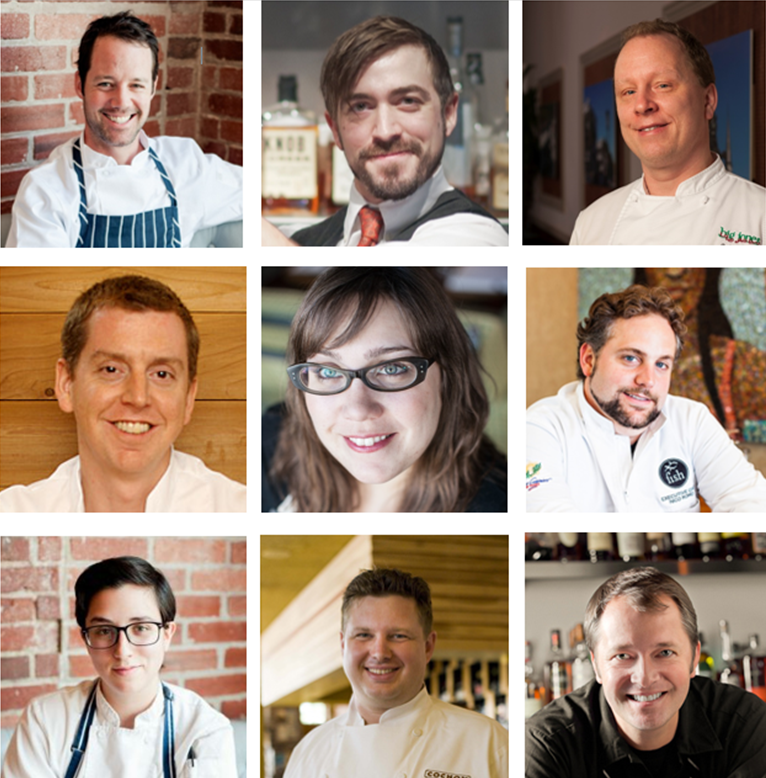 Chefs Paul Fehribach * (Big Jones), Stephen Stryjewski * (Cochon, Cochon Butcher, Peche) and six other Chicago and nationally-renowned chefs teamed up at The Kitchen Chicago on May 18th, 2015 for Trash Fish Chicago. The evening was a delicious opportunity to taste underutilized seafood species, learn about the future of sustainable seafood, and connect with leading change makers in the culinary world. Underutilized seafood like triggerfish, Asian carp, and Spanish mackerel from Fortune Fish Co.
All proceeds benefitted Chefs Collaborative scholarship and education programs. If you’re interested in sponsorship opportunities, please contact us.